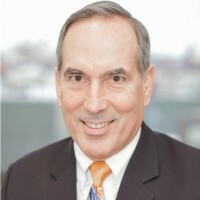 Dr. John S. McIntyre has been in his professional career as an oral surgeon treating patients in Brooklyn, New York, and the surrounding communities for over 33 years. Dr. McIntyre has his own practice, John S McIntyre, DMD, PC., where he is Head of Oral & Maxillofacial Surgeon. Patients visiting Dr. McIntyre can receive a full range of oral surgery services. He provides oral surgery consultations, biopsies, draining of abscess, cyst excision, and tooth extractions. He cares for trauma, dental emergencies, and wisdom tooth problems. John started in the dental industry many years ago meeting, when he met a young dentist who inspired him. Dr. McIntyre completed his Residency with New York University, Bellevue Hospital Center and his internship with Thomas Jefferson University Hospital. He credits his success to hard work and his dedication to his patients, ensuring that they are pain free and happy. At this point in his career, Dr. McIntyre would like to be recognized for all his many achievements, as he continues to make a difference in his profession. He is most proud of marrying his wife as she has been a sole supporter along the way. He is interested in networking with like-minded professionals.